Virgin hair extensions are more expensive than their synthetic counterparts. One reason for this is that aside from the fact that real human hair is used to make such hair extensions, the hair used has not undergone any kind of process. Therefore, the hair has not been touched by chemicals. Another reason is that all the hair strands came from only one person. 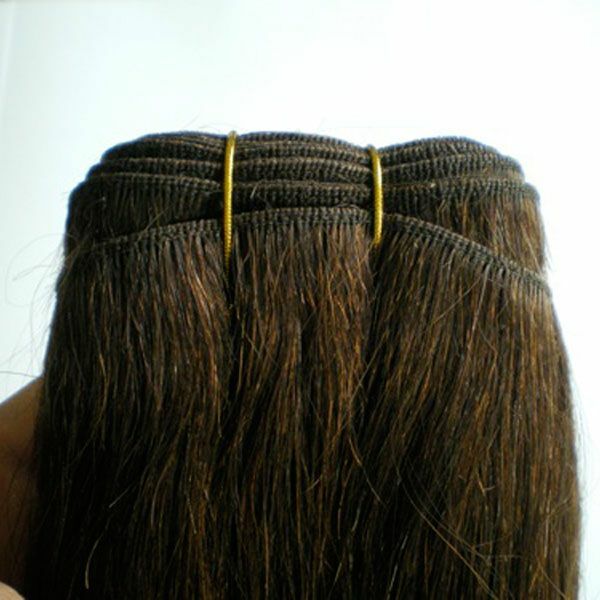 It is not easy to create hair extensions made from a single person’s hair. This type of hair extensions is attached to the hair by a professional hairdresser. Keratin glue is used to attach the extensions to the natural hair. One very big advantage of using virgin hair extensions is that because they are made from real human hair, you could treat them the same way you should treat your natural hair. Clean your hair with warm water and human hair extension shampoo. Do this at least once weekly. Do not use ordinary shampoos because most of them contain silicone. Silicone can make the bonds weak. Take note that you should not wash your hair for two days after the virgin hair extensions have been bonded to your real hair. Carefully put shampoo on your hair. Mild strokes should be used while putting shampoo. Rubbing should be avoided to not weaken the bonds. After shampooing, wash your hair with your head upright. Put hair extension conditioner on your hair. Again, mild strokes should be used while applying conditioner. Do not put conditioner on the bonds. Dry your hair using a towel. Do not rub hair. Just pat it dry. When excess water has been removed from your hair, part your virgin hair extensions. Then, get rid of tangles using a comb. Use a comb with wide teeth. Style your hair extensions as you please. You can color it or make it straight. You can also have it curled if you want to. Do whatever you want to do with your hair, but do not pull on your hair extensions too much. You should also not bleach the extensions too much. Use a brush for hair extensions to brush your real hair and extensions. Brush hair and extensions at least once daily. This should be done for the proper distribution of hair oil. If hair oil is properly distributed, the hair would not mat. Loosely braid your hair before sleeping. This is to avoid tangles from forming while you are sleeping. Have a professional remove your hair extensions after three months. Do not panic when some of your natural hair and a couple of your hair extension bonds fall out when you wash or brush your hair. That is just natural. Also, do not hesitate to go to your favorite salon if some of the bonds become loose after a couple of weeks. As you can see, virgin hair extensions are easy to take care of. So go ahead and have this type of hair extensions attached to your natural hair. You will have hair that is more beautiful and easy to manage. Just be sure that your hairdresser gets his or her hair extensions from legitimate sellers. Do not hesitate to ask where the hair extensions came from. You should also ask for the date that your virgin hair extensions would expire.